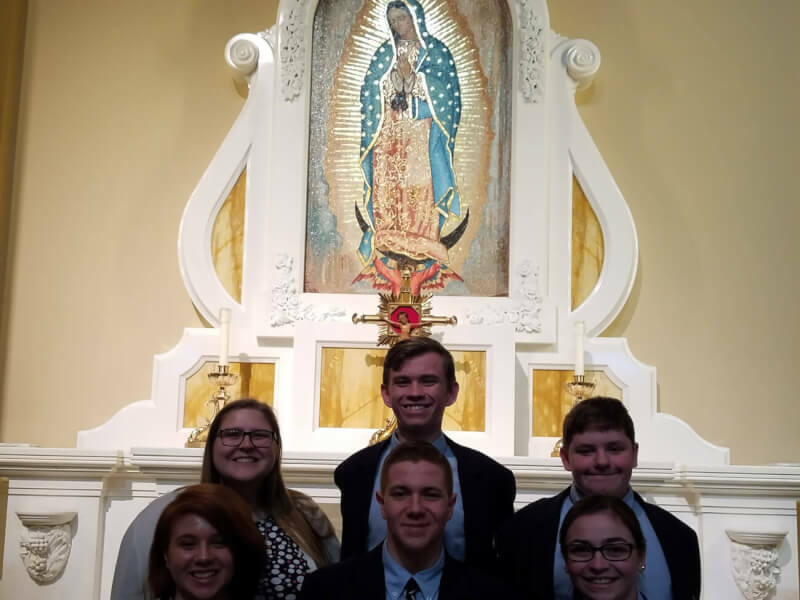 6 CEC students represented us at the Enshrinement Mass for St. Katharine Drexel on November 18th at the Cathedral of Sts. Peter and Paul in Philadelphia. The students carried in our school flag with the other Archdiocesan high schools. Pictured are Maria DelPo '19, Collin O'Neill '19, Seamus Smiley '19, Tessa Smiley '21, and Kevin Teague '21 with Ms. Bennett. Not pictured is Caitlin O'Neill '21 who sang with the Archdiocesan Children's Choir.